Commercial and International Trade is a complex area of law. Specializing in this subject requires in-depth knowledge as well as practical experiences. Although Bangladesh is witnessing significant growth in Garments and Textiles sector and few other sectors, there are issues associated with awareness of laws, regulations and best practices for international trade. There are significant volumes of cases pending involving Commercial transactions and also notable claims arises regularly which involves Cross-Border Transactions. Bringing Cross Border claim by initiating arbitration process or by filling litigation in different territories are not very uncommon in a situation where parties avoided seeking legal assistance at early stages of trade documentation. Accordingly, Legal representation for local and international buyers and sellers, Banks, Carrier, Stevedores are frequently required within national territory and sometimes internationally. Rahman’s Chambers is one of the leading Law Firm in the area of Commercial Litigation and dispute resolutions. 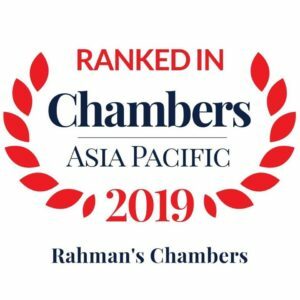 Rahman’s Chambers has been ranked for Corporate and Finance and Shipping. We are one of the key players in handling litigation in the area of commercial laws involving LC payment, payment under proforma Invoice or Commercial contract, stoppage of LC payment, money claim under LC or back to back LC, claim against carrier, demurrage claim, release of cargo from Customs, Port Authority and shipping agents, ship owner, trade fraud involving house bill, bank endorsement, amendment, GSP certificate, etc. We are advising and representing Clients dealing with international and local commercial matters in different capacities for nearly a decade. We have represented Central Bank successfully in the landmark case Freight Management and 16 others vs. Bangladesh Bank reported in 2 CLR (HCD) 586; 19 MLR (HCD)336 involving the legality of House Bill of Lading/Receive for shipment of Bill of Lading. In 16 Judicial review cases filed against the central bank with regard to the endorsement of House bill of lading without endorsing Master Bill, Chambers successfully contested the cases for Central Bank. MR. Rahman successfully argued on the confusion caused by House bill of Lading. The judgment was reported in two leading law report and is considered by many as a landmark decision. We have successfully challenged a documentary fraud on behalf of importer ‘Saturn Textiles Ltd.’ involving the supply of defective fabrics, raw material of RMG, by filing suit in lower court and also higher court and were able to obtain an injunction on payment under Letter of Credit on the ground of fraud in 2013. We have successfully represented Hossain Dyeing and Printing Mills Limited, a concern of Anwar Group of Industries in the recovery of the claim for delivery of fabrics under sales contract where payment has been illegally refused by LC opening Bank and later by the buyer under the sales contract. Recently, the Hon’ble Court passed judgment and Order in favor of our client decreeing monetary payment against the buyer after years of battle in Court. The Chambers acted for How Are You Textiles Ltd of Taiwan, a 100% foreign owned seller and successfully recovered payment within 6 months by filing both money claim and criminal case over a complicated LC related documentary fraud involving collusion of buyer and buyer’s bank. We have successfully represented South East Bank Limited in LC Payment related disputes in Rahul Computex vs. Fahami Apparels Ltd.
How Are You Textiles Industries Ltd.
Recovery of outstanding under proforma invoice or sales of goods contract. Recovery of raw materials, goods supplied. 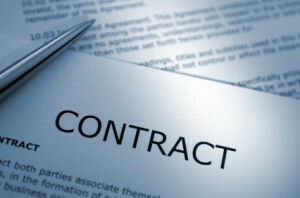 Commercial arbitration, both local & foreign. Disputes on customs clearance and port charges. Disputes on carrier and freight forwarder charges. Release/retention of cargo through court order. Article: Urgent Need for a Commercial Court in Bangladesh (Vol. 2 of 2014). Article: Interim Measures in International Commercial Arbitration (Vol.2 of 2012).